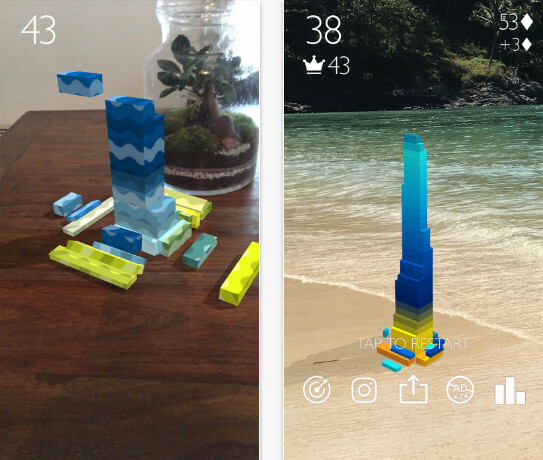 Stack AR is a really awesome game which launched recently and it’s worth to try. It’s for all genre and absolute no-brainer because you can refresh yourself with this Best AR Game for iOS. Recently Apple launched new devices iPhone X, iPhone 8 and iPhone 8 Plus along with many other gadgets also shown on that platform so it’s worth to try. AR technologies is really impressive if you haven’t try then start from this Stack AR game you will definitely love it. Augmented Reality Supported in iOS 11 but here also one clause I have to mention if you have iPhone 6 then it’ll not work sorry about that. It requires iPhone 6S of the later device whether it’s iPad or iPhone make sure your build year should same as iPhone 6S launched then it’ll work. I’ll go to post you a video about that soon. Who have don’t’ have a compatible version they able to play the normal game not AR. Anywhere you can try in a long surface area whether it’s room, hall, beach etc. Once set then you move around you don’t need to setup again because your stack will be the same place till game over. Closely you can walk and it’ll appear bigger same as a real-world entity. It’s completely 3D so you can walk around and check every edge. Every block you can see while break and fall down. I have played the game my self and I recommend to try this one and it’s really simple and easy to play definitely you will fall in love with Stack Augmented Reality. Check out other AR apps here.